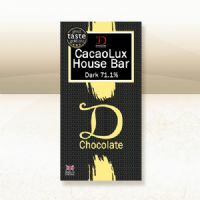 We do not buy our couverture chocolate 'off the shelf' but offer you luxury chocolate of the highest quality that is entirely bespoke and unique to Demarquette. 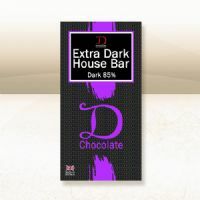 Our range of dark chocolate bars are a great choice for the chocolate connoisseur as well as for those seeking to explore the variety in strength and flavour of cocoas from around the world. 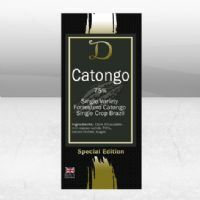 Unique to Demarquette this is our signature triple gold star award winning 71.1% CacaoLux house blend from the Dominican Republic, Ecuador and Madagascar. A winning combination of Halon Mon Sea Salt and Demarquette's unique and triple gold star award winning 71.1% CacaoLux House Chocolate. For those wanting a high percentage chocolate we offer a deliciously strong 85% House blend.